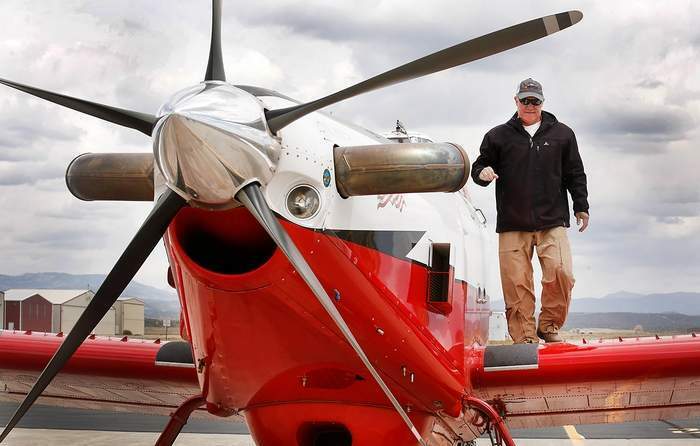 Joel Hampton, along with his wife Letty Hampton have worked for CO Fire Aviation since 2016. They have three daughters Jessica, Haley, and Roxie. The Hamptons currently live on their family rice farm in Stuttgart, Arkansas. Joel has twenty-one years of military aviation experience flying a United States Air Force (USAF) fighter aircraft around the world, four years flying Air Tractors in the Middle East, and two years flying Single Engine Air Tankers across the western United States. Joel is an Airline Transport rated pilot in multiengine as well as single engine aircraft. He is a Certified Flight Instructor CFI / CFII, with over 5,000 hours of flight experience. Some of Joel’s other achievements include: Bachelor of Science in Finance from the University of Colorado, Masters in Business from Troy State University, USAF Undergraduate Pilot Training, Air Command and Staff College, Air War College, USAF Safety and Accident Board President Course, 3 x Air Force Commendation Medals, 3 x Meritorious Service Medals, 8 x Aerial Achievement Medals, 7 x Air Medals, and 1 Bronze Star. Joel spent two years as Director of Operations for Green Flag teaching combat skills to deploying coalition forces, followed by another three years as Director of Operations for the 357th Fighter Squadron teaching young aviators to fly the A-10 Warthog. Joel served as Commander of the 451st Expeditionary Operations Support Squadron in Kandahar, Afghanistan where he accumulated over 500 hours of combat time in Operation Enduring Freedom. Joel currently spends his time flying fires for CO Fire Aviation in the summer, working on his family farm in the winter, and flying his Piper Super Cub as much as possible.